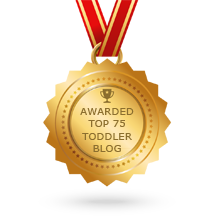 Do You Let Your Toddler Help? - Joyful Toddlers! Research on toddlers between fourteen and twenty months old shows that, given the opportunity, this age group overwhelmingly wants to help others. By the time they enter kindergarten, however, some children have lost the desire to help. This is important, because starting in Kindergarten, a child’s level of helpfulness is likely to remain the same all the way through school. This suggests that these toddler and preschool years are vitally important if we want our children to garner all of the benefits of helpfulness later in life. How Can Toddlers Actually Contribute? We absolutely can provide opportunities for toddlers and preschool-aged children to help in tangible ways. This allows them to increase their skills and competence, nurture their generosity of spirit, and assure them that they’re making a real difference. The sure path is right at our fingertips: by successfully involving them in the visible tasks of helping a household run smoothly and be beautiful (aka, housework or homemaking). A long-term, cross-cultural study(2) of young children in six different cultures showed that 2- and 3-year-olds who were expected to do chores that benefitted others tended to show significantly more “pro-social” behaviors later, at age 7. So, rather than have your child only take their own plate, or pick up their own toys, or make their own bed, you’d do better to have your child clear away everyone’s silverware while you clear away the larger items, for example. Or have your child be involved in making everyone’s beds. Doing tasks together is the key. Another study(3) showed that children who were expected to help their parents at age 2 were less likely to have behavior issues at age 5. So invite (and expect) your child to help put away groceries, or put dad’s shoes by the door, or run and get something for you. A 2- or 3-year-old may need your “help” to go and get something for you (perhaps going all the way to you accompanying them the entire way, then dashing back to your spot at the last moment to let them hand it to you), but if you make the experience enjoyable and rewarding, soon they’ll be running off right when you ask. A third study(4) found that preschoolers’ levels of helpfulness towards friends correlated with the amount of household tasks in which they were involved. I have found that my house has never been cleaner or less stressful. Maybe it’s still me and this new mindset, but purposefully including my kids in everything, if they want to, is very freeing. I am no longer figuring out ways to keep them excluded from tasks. We are more of a team, and I know they feel it as well. 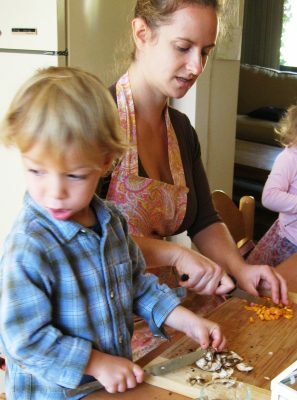 Do you involve your young children in your household tasks? Which ones? What are your secrets for helping things go smoothly? Share with us in the comments! (1) For full citations of the studies referenced in first two paragraphs of this post, see the endnotes of chapter 8 in my book, Joyful Toddlers & Preschoolers: Create A Life that You and Your Child Both Love. (2)Whiting, B.B., & Whiting, J.W.(1975). Children of six cultures: A psycho-cultural analysis. Oxford, England: Harvard University Press. (3) Kuczynski, L., & Kochanska, G. (1995). Function and content of maternal demands: Developmental significance of early demands for competent action. Child Development, 66(3), 616-628. (4) Rehberg, H.R., and Richman, C.L. (1989). Prosocial behaviour in preschool children: A look at the interaction of race, gender and family composition. International Journal of Behavioral Development, 12, 385-401.